I honestly can’t rave enough about this app! I minored in Spanish in college, and since it had been a bit since then I wanted something to prevent me from getting rusty in addition to helping me learn more. That process lead me to try probably more than 16 different language learning apps and programs that were under $50. At first, I didn’t expect this app to be so great due to how cheap it was. 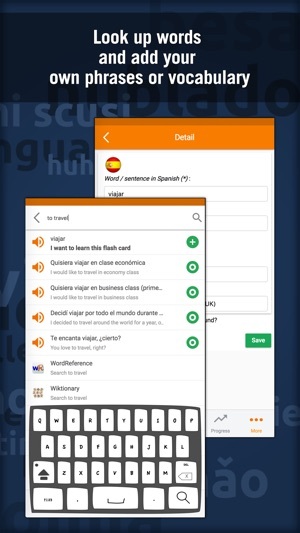 But honestly this is the best language learning app there is and I would even rival it with the classes I took in college. The support from staff and the learning advice is invaluable and it really makes you feel like they care and are on this journey with you! Which doesn’t surprise me because the main reason I tried the app was due to the response to comments and concerns by staff on the App Store. 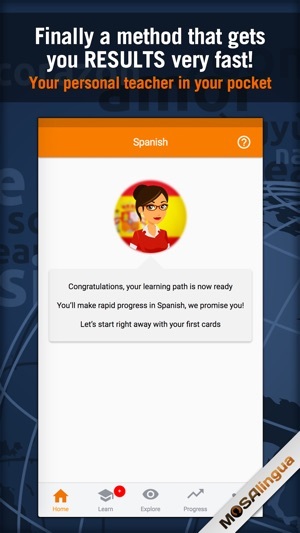 A lot of apps also require that you start from Spanish at level 0, even if you’re behind that point, but with the this app I could truly customize the learning level at the level I needed! 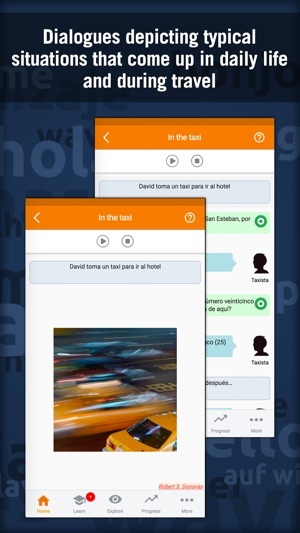 I’ve already recommended this app to others and you can rest assured you won’t be sorry if you give this app a try. First of all, thank you for choosing Mosalingua. We are really happy you are satisfied with our application and that you think that it's better than the other 16 apps you've tried out! As you know, don't hesitate to contact us should you need help! I have only missed 3 days of practice since downloading this program. It teaches me phrases I will use right away, and the reminders at set times are fantastic. They are not annoying or often, but they are enough that they help me stay motivated to put in the 15 minutes each day. 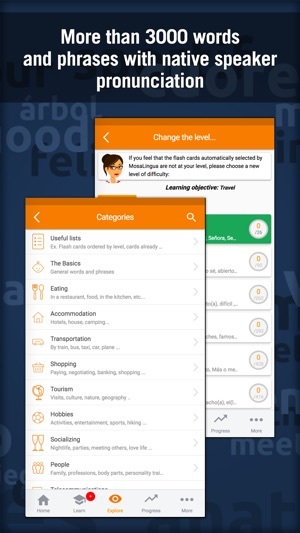 The app tells me I’m on pace to learn about 1200 flash cards within 3 months. 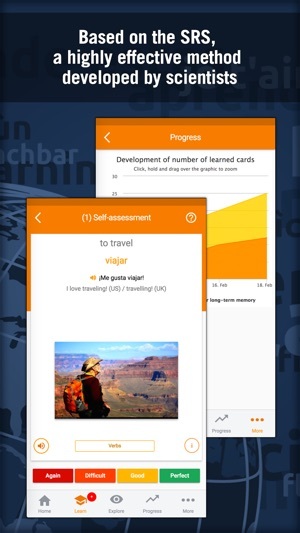 Some flash cards contain whole sentences, so that will be a lot of words! Also, it is the best at teaching conjugation out of the different methods I have tried. Charts are well and good, but learning different verb tenses by using them works better for my brain! Definitely recommend MosaLingua! All you've mentionned is something we've worked hard on achieving, so it's very nice to see people enjoying it! This is a really great app. I’ve been using it for a few years now and it keeps getting better and better. I keep finding new cool ways it helps my learning. I love that I’m starting to actually think in Spanish rather than needing to translate back and forth from English to Spanish to English in my mind. Over time, the organized structured repetition really helps. I look forward to using this app a little each day. It’s actually a fun challenge... like a game. Keep up the amazing work and thanks again for this wonderful and easy to use tool. We are really glad that you are happy with our application.